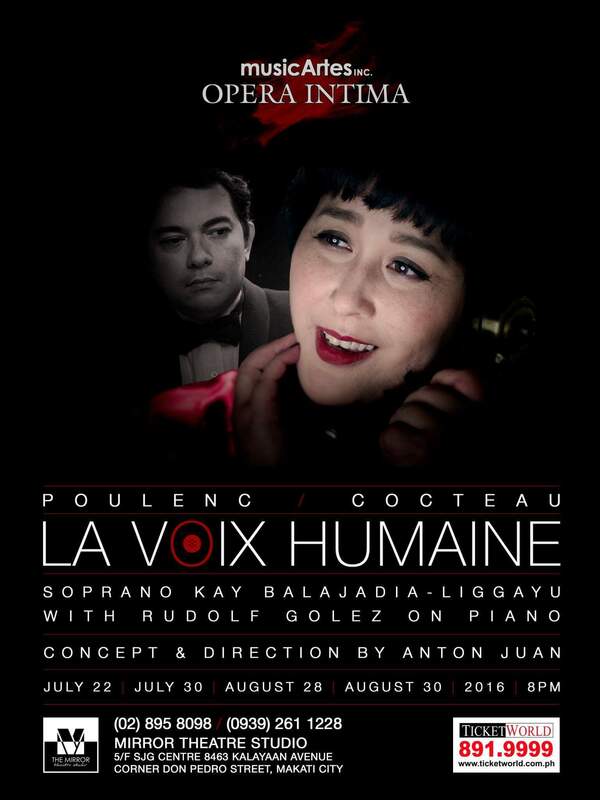 Musicartes Inc. launched its Opera Intima series on July 22 with other shows on July 30, August 28 & 30 at the Mirror Theatre Studio, SJG Centre, Kalayaan Ave., Makati, featuring La Voix Humaine (The Human Voice) with Soprano Kay Balajadia Liggayu and concert pianist Rudolf Golez. Francis Poulenc-John Cocteau’s La Voix Humaine is the first of this opera series. Poulenc’s tragédie lyrique was first performed at the Theatre National de L’Opera-Comique in Paris on 6 February 1959. 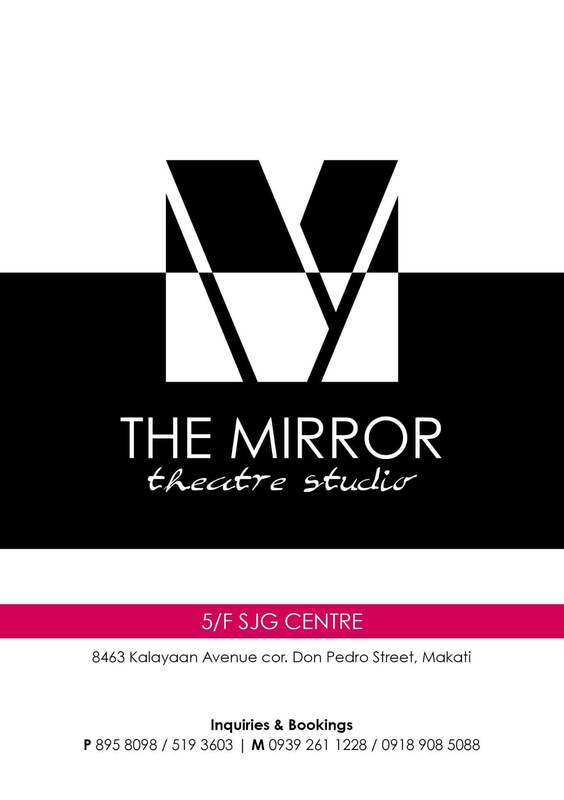 The venue for the performance is The Mirror Theatre Studio in Makati City.